Announcement: June 9, 2012: Activity at Arts Council, Karachi – Dance performances and theater play by Tehrik-e-Niswan, panel discussion and tableau by school students. Jan 31, 3.00 pm, Lahore: Seminar on “Increasing Intolerance and Freedom of Conscience and Expression”, Hotel Ambassador, organised by National Commission for Justice and Peace. Jan 16,Sunday, 2.00 pm, Hyderabad Press Club. Peace Forum conference on AMAN and RAWADARI. 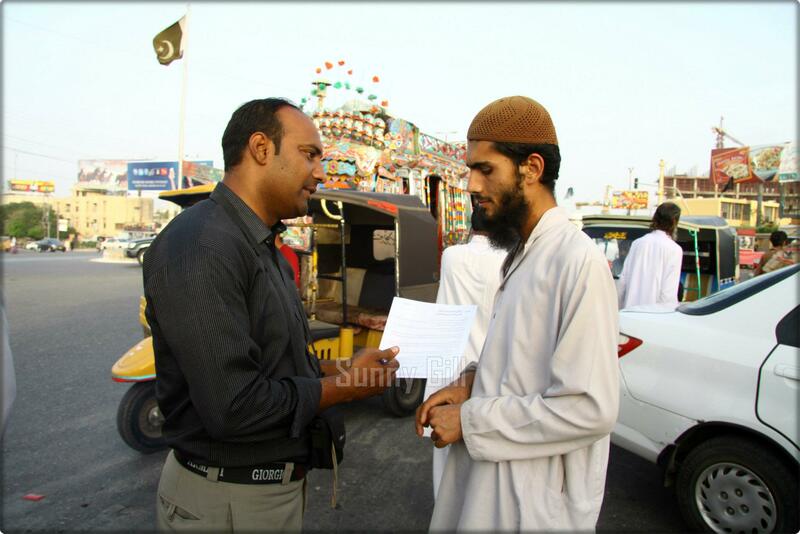 Jan 15, 5.30 pm, Lahore: Liberty Roundabout – Candlelight vigil against justification of violence in society. Pls join, bring candles & placards, invite others. 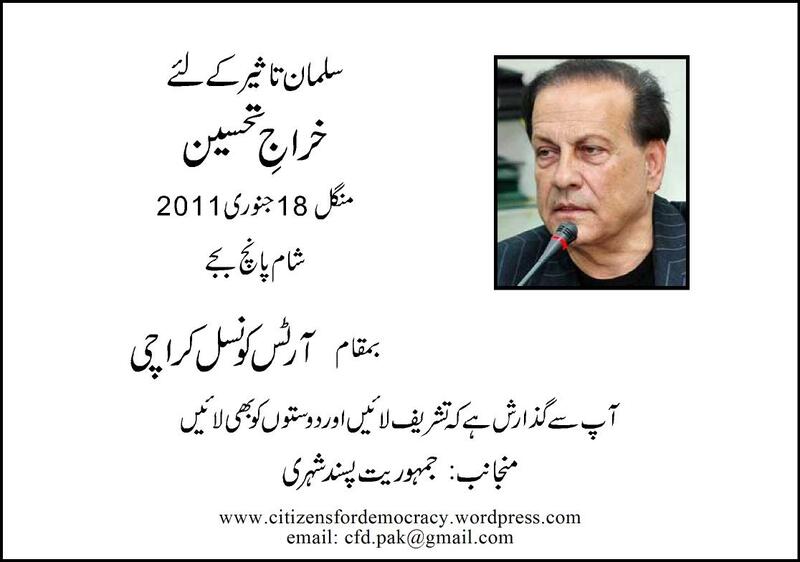 Invitation flier for Reference for Salmaan Taseer, Jan 18, 5 pm, Arts Council Karachi.